E-mails are essential for your business, but they take up a lot of space. 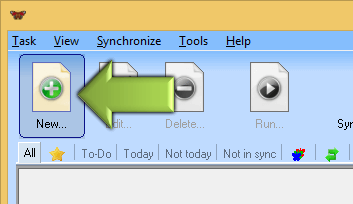 In addition to synchronizing between computers, Easy2Sync for Outlook can also copy Outlook information to a backup file. Keep only the latest information on your computer. By limiting e-mails to, say, the last four months, and contacts to the last 12 months, you can save space and make Outlook run faster. 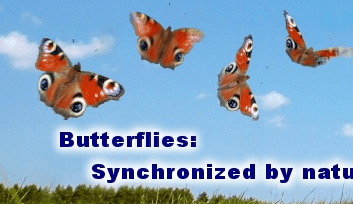 Even though Easy2Sync for Outlook was written for synchronizing, it works extremely well as backup solution. The big advantage is, that it automatically recognizes the differences and only transfers the changes. And if your PST file has a size of 1 gigabyte (which isn't unusual), then you'll save a lot of time and backup space. So-called "rotating backups" can give you additional security. With this method, you always have several Outlook backups available. Sorted by numbers ("the last X versions"), or backups by weekday, etc. Without a rotation backup you cannot recover the contact that was deleted last week if you updated your (only) backup yesterday. Which data do you really need? Easy2Sync for Outlook offers you a lot of filters to limit the backup. For example it could contain the e-mails of the last 14 days, the calendar items of last 3 months and all contacts. 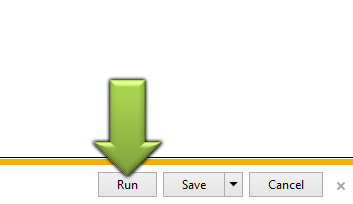 As a result you'll receive a small PST file, which you can easily burn on a CD. 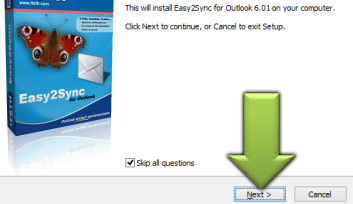 Easy2Sync for Outlook has an integrated scheduler. You can let it create your backup every Monday at 10:00 am, if you like. While Outlook is running. Invisible in the background. And if you have an appointment and turn your computer on at 11:00 am, Easy2Sync for Outlook will simply catch up and do the backup then. One detail less to keep in mind. With our product Easy2Sync for Files (buy them together in a bundle with 25% discount) you can backup your files, too.